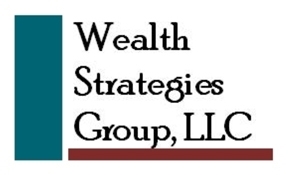 Wealth Strategies Group LLC is not affiliated with Sigma Financial Corporation. Sigma provides us with compliance review, a brokerage account trading platform, back office support and various products and services that enable us to provide complete services to our clients. Since 1983, we have been leading clients to financial freedom, living up to our motto: Financial planning today for financial freedom tomorrow. Today, Sigma Financial Corporation stands out as one of the nation’s premier independent broker/dealers. With more than 500 representatives, Sigma Financial Corporation provides financial services to clients in all 50 states. Your needs and individual goals are unique and so are your investment choices. As an independent broker/dealer, we give you and your financial professional the freedom to decide what investments are appropriate for you. Sigma provides us with 2 platforms for brokerage accounts; Fidelity Institutional Wealth Services (FIWS) for Fee-Based accounts through Sigma Planning Corp. and National Financial Services (NFS) for Retail-Based accounts through Sigma Financial Corp.